Quality Workmanship at Budget Prices! 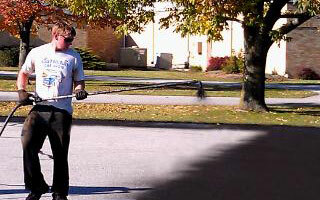 Buckeye Asphalt Maintenance & Sealcoating, LLC, in Columbus, Ohio, offers top quality asphalt maintenance at affordable rates. 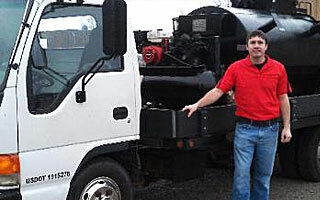 We are an owner operated business that prides itself on well managed job sites and hassle free service. We work with both residential and commercial clients across the greater Columbus area. No job is too big or too small. Click Here Now!Contact us to make arrangements for a free, on-site cost estimate for our services. The best way to prolong the life of your asphalt, especially in high-traffic areas where wear and tear has exposed the aggregate stone, is to apply asphalt sealer. The extremes of Columbus weather can be harsh on your asphalt surface. If not properly taken care of, asphalt can end up being riddled with potholes, oil stains and buckling. Surface cracks are often the first visible signs of underlying problems with asphalt. Small cracks expand to form larger problem areas that have an “alligatored” appearance. 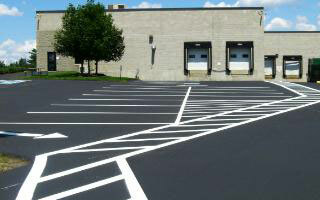 After an asphalt parking lot is newly installed or sealed, its parking spaces need to be restriped and stenciled. It’s a final touch that adds a tremendous amount of appeal. Water is the most significant problem in the premature wear of asphalt surfaces. 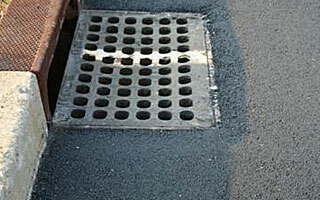 Drains need to function properly to transport water away. Although concrete is more expensive than asphalt, it last considerably longer. 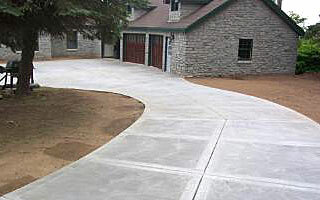 If you have a project that includes concrete & asphalt, we are your one stop shop.